This time of year there is an abundance of clementines and the loaf is perfect for tose moments when you have too many clementines to eat before they turn. It combines the delicate citrus sweetness with the heady spices that evoke Christmas. It is also gluten free as it uses ground almonds rather than flour but do check your baking powder is suitable. You could also make a glaze however I felt it didn’t need it. 1. Take a large pan of cold water and place all the clementines in it. Bring it to the boil and then reduce to a simmer and cook the fruit for an hour and a half. When cooked, remove the clementines to cool and then quarter them. Remove any rogue pips and discard. Take a blender and puree the clementines. You can also do this by hand if you prefer to use a bit of good ol’ elbow grease! 2. Preheat the oven to 190c/ 170 fan and lightly grease a 20cm loaf tin with butter. My tin is non- stick but by greasing or lining it you just make sure you won’t have any sticking disasters! Combine the almond, sugar, spice and baking powder in a bowl before mixing in the eggs well. Fold in the clementine puree and it’s good to go into the tin! 3. Cook for an hour until the loaf is cooked through and a skewer comes out clean. Leave the loaf in the tin to cool. If you like you can make a glaze for the top which can be made and then added whilst it is cooling. It really couldn’t be more simple- combine some icing sugar, clementine juice and a little water before brushing or drizzling over. Serve a slice with a cup of tea or treat is more as a dessert and eat with creme fraiche or double cream on the side. 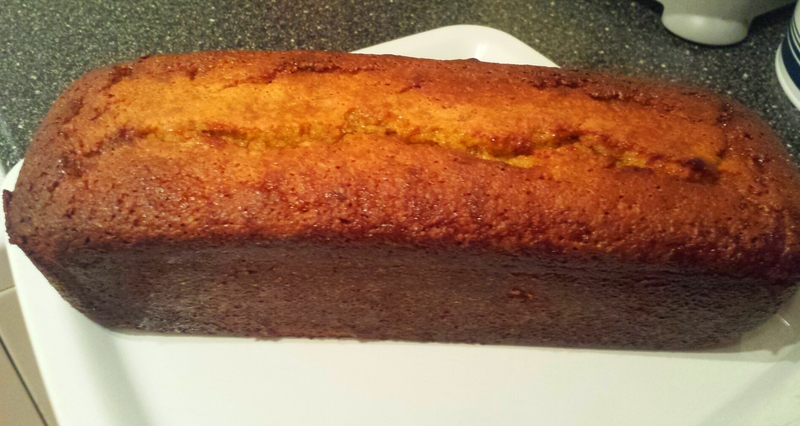 Festive spiced clementine cake- you’ll never throw out old fruit again!